Gently firm MATTRESSES Gently firm mattresses lie somewhere between providing hard and soft support and contour, offering all the benefits of a firm mattress but also with a little extra padding. For those who like sleeping on a hard surface with added comfort, a gently firm mattress could be the right option. Available in open spring, pocket spring, memory foam and latex, a gently firm mattress is best for those sleepers who rest on your back or stomach. Gently firm mattresses lie somewhere between providing hard and soft support and contour, offering all the benefits of a firm mattress but also with a little extra padding. For those who like sleeping on a hard surface with added comfort, a gently firm mattress could be the right option. 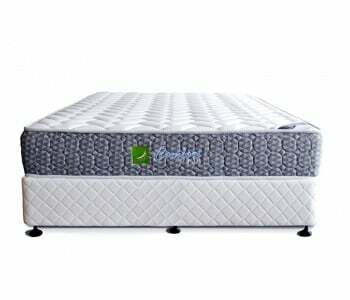 Available in open spring, pocket spring, memory foam and latex, a gently firm mattress is best for those sleepers who rest on your back or stomach.